Now, a few visionaries are planning the state's return to space with an ambitious proposal to build a private launch site for commercial satellites in Northern Michigan. The Michigan Aerospace Manufacturers Association has been corralling investors and seeking federal permitting for the proposed spaceport — dubbed the Michigan Launch Initiative — that would do vertical launches and also handle the takeoff and landing of airplanes that drop rockets that shoot into space. The group has yet to pick a location for the $80-million-plus launch site, which unlike most other spaceport projects, would be financed almost entirely by private investment. One caveat is the project's request for $2 million in state grant funds to survey potential locations for the launch site and related command center. The site must be relatively remote and situated next to a Great Lake, so rockets wouldn't fly over populated areas. The potential loss of that state funding — albeit a sliver of the initiative's overall costs — threatens to delay or even ground the project. There recently has been a rush by several states and countries to build commercial launch sites, also known as spaceports, in hopes of capturing some of the anticipated growth in the satellite launch business and even space tourism. There also has been a flurry of private companies trying to build new rockets, similar to what entrepreneur Elon Musk's SpaceX accomplished. Worldwide, there were about 300 satellite launches between 2016 and the end of 2018. That number is projected to grow to 400 to 500 launches over the next three-year period, according to Houston-based venture capital firm SpaceFund. "As far as demand goes, it is growing very rapidly and you see a lot of investment in the launch and spaceport infrastructure side right now," said Meagan Crawford, managing partner at SpaceFund. Yet even with the expected growth, Crawford questions whether there would be enough business to support all of the many proposed new launch sites and new rockets. "My supposition is there is over-investment at the moment," she said. "There is definitely some potential there, but it is going to be a crowded marketplace." If the Michigan launch site gets built, its rockets would carry small commercial satellites in a northbound direction and into a low-earth orbit, specifically a polar orbit where objects pass from the North Pole to the South Pole. Polar orbit is different from equatorial orbits, which are better reached using launch pads nearer the Earth's equator. Satellites in polar orbit are particularly good for observing Earth and are valuable for commercial activities such as monitoring pipelines, agriculture yields and tracking ships, said Chad Anderson, CEO of Space Angels, a New York-based firm that invests in space companies. 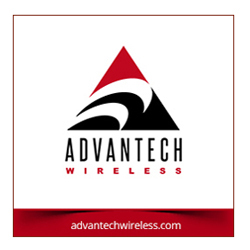 The proposed Michigan site would cost upwards of $80 million to build and be financed with private-sector investment, said Gavin Brown, executive director of the aerospace manufacturers' association and chief organizer of the Michigan Launch Initiative. The site could launch as many as 25 rockets a year, generating an estimated $15 million in revenue per launch, Brown said. The rockets could soar as early as 2022, depending on the site's Federal Aviation Administration approval as a commercial launch site. A cluster of rocket, aerospace and other high-tech firms could take shape near the site, Brown said. What's more, there are plans to produce biofuels for rockets on site to make it a "green" spaceport, Brown said. Achieving such a busy launch calendar could be tough for Michigan. Crawford, the SpaceFund managing partner, said there are likely enough existing launch sites to meet demand over the next four to five years for new polar orbit satellites. But by the mid-2020s, there could possibly be room in the market for more polar orbit spaceports. "There is business to gain," Crawford said, "but Michigan would have to offer something better than Cape Canaveral or Vandenberg (Air Force Base)." Michigan's spaceport would be different than the $220 million publicly financed spaceport in New Mexico that is derided by critics as a boondoggle. Opened in 2011 to handle space tourism as well as satellite launches, the New Mexico site failed to meet initial expectations and continues to lean on that state's taxpayers to fill its budget gaps. "Unlike theirs, ours is going to be privately financed and have a very specific focus; they wanted to be everything to everybody," Brown said. However, Michigan Launch Initiative is seeking $2 million in state grant funds to conduct a survey of potential locations for the launch site and related command center. The Michigan Launch Initiative was one of 74 pet projects tucked into a $1.3 billion spending bill that passed the Michigan Legislature in late December and was signed by outgoing Gov. Rick Snyder. But the launch site's funds have since been disapproved because of "drafting errors" in the legislation, such as the additional $500,000 that was tacked onto the grant for an unrelated project involving Willow Run Airport, a spokesman for the Department of Technology, Management and Budget said last week. Now new legislation would be required for the spaceport grant to happen, the spokesman, Kurt Weiss, said. Yet the launch initiative's proponents insist that the drafting issues will not doom their project. Brown said he is in discussions with state officials and still believes that the grant money could be released. Even though the project has financial commitments from private investors for construction, the $2 million is still necessary for the location survey, he said. “We have them lined up," Brown said of his private investors, "but they want to make sure this is going forward and that this is something the state wants to have happen." Brown said he cannot yet disclose most of the project's financial backers. "But some of the names mentioned will be very familiar to Michiganders. These are people who are looking forward to investing in Michigan’s future and have in the past," he said. The one investor to publicly step forward has been Greener Earth Advisory Services, a small firm that is based in Naples, Florida, and has a Troy office. The firm's President Michelle Maltese said in a phone interview that the launch site doesn't hang on the state grant. The launch site's location could be decided as early as June if the state funds come through, Brown said. The potential launch sites include Rogers City and Michigan's three former Strategic Air Command bases in Marquette County, Chippewa County and Iosco County, where the long runways could accommodate big satellite-launching aircraft, according to Brown. Macomb County is the leading candidate for the launch site's command center. “The command center can go anywhere; think of Houston servicing Cape Canaveral," Brown said. The types of vertical rockets that would leave Michigan's spaceport would be owned by private companies and would be much smaller in size than the reusable Falcon 9 rockets made by California-based SpaceX. Those rockets can lift big satellites into high orbits. Yet the rockets would still be bigger than the tiny rockets that soared from 1964 to 1971 from the long-retired Keweenaw Rocket Range at the tip of the Keweenaw Peninsula in the U.P. Those rockets were used for meteorological research and didn't carry payloads to orbit. Most U.S. launch sites including Cape Canaveral, Vandenberg, Wallops Flight Facility in Virginia and the Kodiak Launch Complex in Alaska can do polar orbit launches. There is also a dedicated polar launch site reportedly under consideration in Maine. 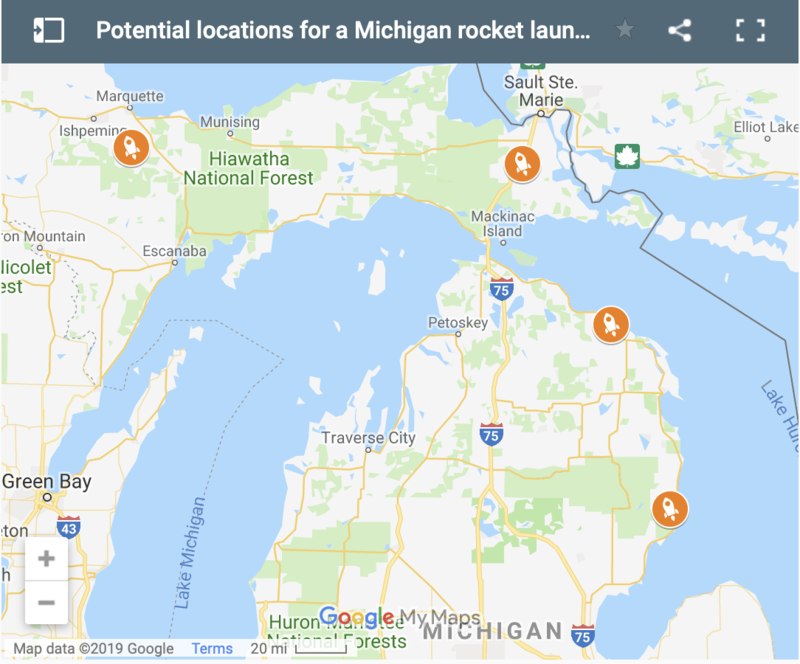 One potential challenge to launching rockets in Michigan is convincing rocket companies — none of which are nearby — to haul their vehicles' components to the state, possibly all the way to the U.P. The hassles of travel could be why the newly refurbished Kodiak site in Alaska, which is theoretically ideal for polar orbit launches because it is near the North Pole, has yet to do much business. "It's just hard to get your rocket up to Alaska," Crawford said. Another possible problem for Michigan: the close proximity to Ontario and Canadian airspace, especially because the rockets would fly north. But according to Brown, the project's organizer, a Michigan-launched rocket would likely hit outer space before it does Canadian airspace. Still, he has informed Canadian officials of the plans. “We’ve already engaged the Canadians to have them as partners," he said, "so this would be an international spaceport."